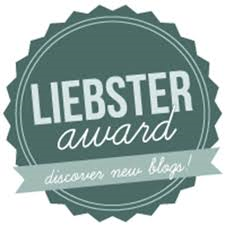 I have been nominated for a Liebster award! It means that someone thinks my blog is cool even though I am super low on followers! For my few who follow - Thank You So Much! Check it out - it is a random but cool and real blog written by a Mom living in the Netherlands. What I love about blogging is what other way can you follow the life of someone in another country? We get to see how different and how alike we are! 1) Given the choice of anyone in the world, whom would you want as a dinner guest? Norman Reedus because I need to have dinner with Daryl from the Walking Dead. You never know when the real zombie apocalypse is coming! 2) Would you like to be famous? In what way?...........No! I am even uncomfortable at times sharing my outfit pictures , after all - who do I think I am? 3) Before making a phone call, do you ever rehearse what you're going to say? Why? ....Yes, all my friends know that I am terrible on the phone and much more personable in person. I am guaranteed to say something stupid or offensive on the phone. 4) When did you last sing to yourself? To someone else? I sing almost every day in the car and with or to my son. I have the worst voice ever. I am loving to sing to "Shake It" by Taylor Swift lately! 5) If you could change anything about the way you were raised, what would it be? My father traveled for work and I would have love to have spent more time with him. 6) If you could wake up tomorrow having gained one quality or ability, what would it be? More self discipline. 7) Is there something that you've dreamt of doing for a long time? Why haven't you done it? I have written a screenplay. My dream is to sell it but I have not been trying as hard as I should because I distract myself with things like this blog. 8) What does friendship mean to you? A few solid people who I love and they love me and all my faults. 9) When did you last cry in front of another person? By yourself? I am sure it wasn't that long ago watching a movie ...I cry at every movie! 10) Would you be willing to have horrible nightmares for a year if you would be rewarded with extraordinary wealth? No - I am a raging maniac without sleep. I would end up sick and we all know good health is more valuable than money. 11) Complete this sentence "I wish I had someone with whom I could share..." My love of style... oh wait ....I have you readers! Now here are the blogs I nominate and I hope all of your blogs continue to flourish!! I know I was supposed to come up with 11 - but I did five that I really like. 1) What made you want to start a blog? 2) Do you ever want to stop blogging and why? 3) If you could have one dream come true (within reality) - what would it be? 4) What is something you wished you could wake up and have different tomorrow? 5) Did you ever read or watch something that changed your perspective on life - what was it? 6) Would you ever sky dive or bungee jump? 7) If you could only keep one hobby - what would it be? 8) What is something you wish people knew about you? 9) Do you think social media is good for society or too much? 10) What is the first thing you notice about people? 11) What is your favorite part of the day? Thanks to all for spreading the word about our blogs!! Really glad you could participate!!! Hope the award continues on!